Rancho Vistoso is a beautiful Arizona master planned community nestled in the shadows of the majestic Catalina Mountains with miles of bike paths, walking trails and many community parks. Rancho Vistoso features communities that range from small Arizona golf course casitas to Arizona luxury home in private gated communities and everything in between. There are several excellent Arizona golf courses in Rancho Vistoso including The Golf Club at Vistoso, Stone Canyon, and the Sun City Vistoso Golf Course. Rancho Vistoso is convenient to everything. There is a brand new Arizona Market Place Mall with shopping, dining and movies as well as the new Northwest Hospital and Medical Center. Arizona homes in Rancho Vistoso range in price from the low $200,000's to over $1 million and many Arizona golf course homes are available. There are several Arizona homes for sale in Rancho Vistoso with views. Imagine stepping into your backyard and savoring the spectacular views of the Santa Catalina Mountains or the Tortolita Mountains. Lots in many of Rancho Vistoso's neighborhoods are planned to offer the best views of the mountains. Although there are many Arizona luxury homes in the area, several neighborhoods feature Affordable Rancho Vistoso Real Estate. Somerset Canyon at Rancho Vistoso, for example, has Arizona single-family homes available at reasonable prices. This community offers six different floor plans in varying sizes and styles. There are numerous Arizona homes for Sale with Private Pools in Oro Valley, including some in Rancho Vistoso. There are some Arizona homes with luxury pools, with features such as zero entry areas, pebble tech, salt water and rock waterslides. Many include spas as well as pools. Arizona condos for sale are a popular option in the area, and there are plenty of condo sales in Rancho Vistoso. Most are located in gated neighborhoods, offering homeowners privacy. Some Arizona condo neighborhoods border the golf course. Vacationers can rent Arizona condos or townhomes in one of the community's resorts. 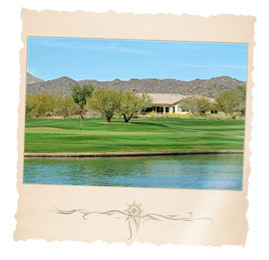 Since the Rancho Vistoso community has its own golf course, Arizona golf properties in Rancho Vistoso are plentiful. Somerset Canyon and Cortona have golf view Rancho Vistoso Arizona homes available, so homeowners can enjoy the lush greenery while lounging on their patios. Some Arizona homes conveniently have golf paths nearby, so access to the golf course is easy. Located in Oro Valley, Arizona close to the bustling city of Tucson, Arizona, Rancho Vistoso offers homeowners lovely desert and mountain views. The Valley lies below the picturesque Santa Catalina Mountains and buildings are designed to blend in with the surrounding desert. Oro Valley, Arizona is the perfect place to raise a family. Residents enjoy the beauty and serenity of the Valley, yet can take the I-10 Freeway to Tucson in just a few short minutes. Rancho Vistoso's premium Arizona golf course, The Golf Club at Vistoso, is considered the best in Tucson. Rancho Vistoso Arizona properties in Oro Valley range from luxury to affordable, with styles and features to please any Arizona real estate buyer. 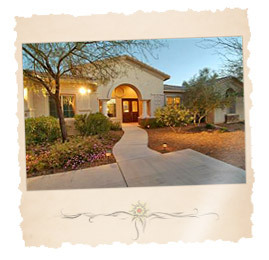 The tools to begin your new Rancho Vistoso Community Arizona homes search are right at your fingertips! To get started, simply click on the quick link above or browse Arizona new construction homes and houses for sale using the links to the right. Find a new Rancho Vistoso Community Arizona home for sale or locate a home builder in Arizona on MyOwnArizona.com. Our MyOwnArizona™ Rancho Vistoso Community real estate guide showcases new construction homes, townhomes, condos and new Arizona communities by Arizona new home builders throughout the State of Arizona. Find new homes by map, desired home price or by browsing new developments and floor plans by lifestyle or home type. All home listings include home price, location and money saving incentive offers to make buying a new Rancho Vistoso Community home more affordable. All Arizona houses for sale listed include floor plans, pictures and many offer tours of the new homes and communities. Go ahead, Call or Text us right now at: (520) 222-6929 or email for Arizona & Rancho Vistoso Community in Tucson, AZ real estate.